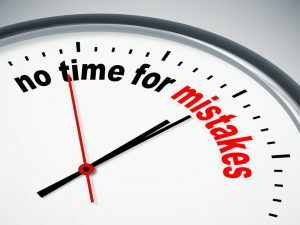 Resuming Colorado Workers Compensation Claims: 6 Mistakes to Sidestep (Pt. 1), below are some more common missteps to avoid making during the process of applying for workers compensation benefits in Colorado. Mistake 3 – Not telling a doctor about all of the symptoms caused by the injury. Interactions with doctors can be source of some common Colorado workers compensation mistakes. Here’s how to avoid them. Call us for more help. Seeing a doctor – especially for the first time – can be an unnerving experience, which can make it difficult to open up about all of the symptoms workplace injuries may have caused. In other cases, people may forget about certain symptoms or may be too proud to share them, thinking they should put on a brave face and appear to be as strong as possible. The severity of their injuries may not fully come to light. Their benefits can end up getting substantially reduced. Injured workers can be cleared to go back to work way before they are really physically (and/or mentally) prepared to do so. So, in order to fully sidestep this common Colorado workers compensation mistake, be sure to disclose all of your symptoms to the doctor you end up seeing. Mistake 4 – Not getting a second opinion about a diagnosis. Many of these mistakes occur during the diagnostic process. What can make matters worse in the case of Colorado workers compensation claims is the fact that, if injured workers do go to doctors chosen by employers and/or insurance companies, these doctors can be inclined to make some decisions in favor of the employer or insurer – even sometimes at the expense of injured workers. For instance, these doctors may be hasty to diagnose a condition without having all of the necessary diagnostic tests performed because they are trying to minimize insurers’ or employers’ costs. The true nature and severity of work injuries can be brought to light. Injured workers are able to obtain the full amount of benefits to which they are entitled. Be sure to check out the conclusion to this blog series – it’s coming soon! Have you or a loved one suffered a workplace injury? If so, Colorado Springs Workers Compensation Attorney Kenneth Shakeshaft is ready to advocate your rights, help you recover financially and ultimately help you put your life back together.